Updated 11-13-2018 --- Updated for the November 13, 2018 game patch (1.47.49) to work with Python 3.7.0. This mod allows you to set individual counters and stoves on any lot to enable or disable food preparation at that location. Since it uses a script to setup the object states for the objects, it should be compatible with any counters and stoves in the game (even from expansion packs I don't have). Two versions of the mod are available depending on your playing style. The base mod will default to NOT allowing food preparation at any counter or stove until it has been enabled. The Default Enabled version of the mod will default to allowing food preparation anywhere, but individual counters and stoves can be disabled by selecting them. You do not have to be the lot owner in order to enable/disable food preparation, so the Default Enabled version is not required for the Dine Out game pack, and once a Dine Out location has food prep enabled properly it will continue to function for that save game. To enable or disable food preparation at a counter or stove, simply click the object and choose the appropriate choice, "Enable Food Prep" or "Disable Food Prep". This setting for your counters and stove will be remembered in the save game file. NOTE that you must have at least one free counter and stove which have food prep enabled in order for cooking and baking to occur on a lot. If there is no free counter or stove with food prep enabled, Sims will simply drop the food on the ground and complain about a route failure. 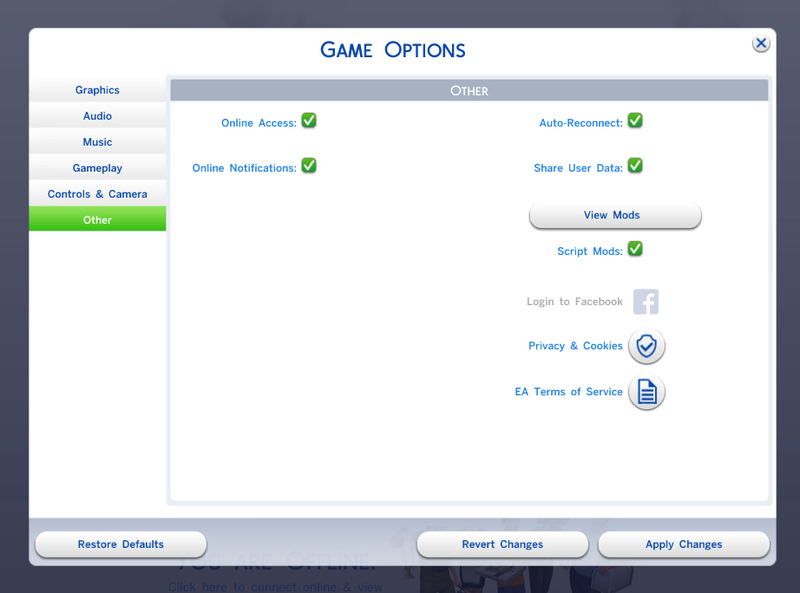 Removing the mod will return counter and stove behaviour to normal and allow Sims to prepare food anywhere. 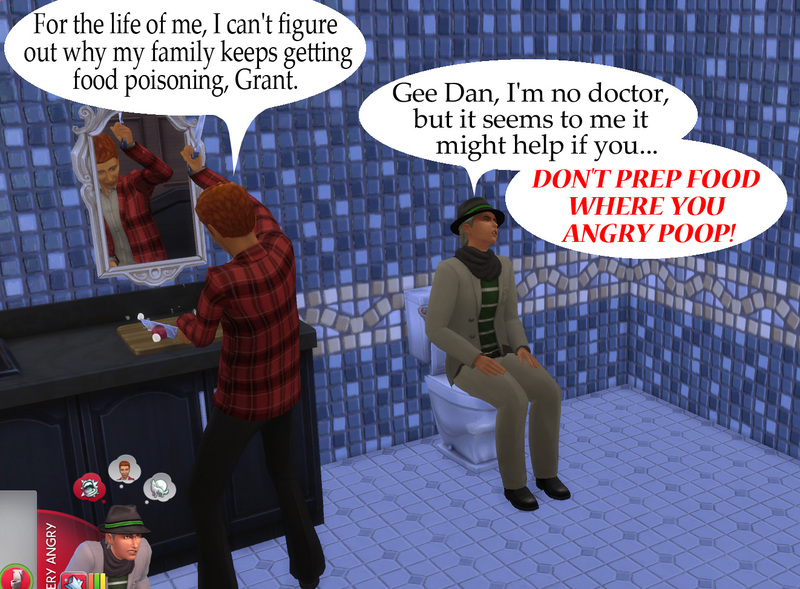 If you like this mod, you may also want to get the Don't Wash Dishes Where You Angry Poop mod. The game's object tunings are overriden in the script, which allows it to be compatible with other mods that override those objects. In addition, it will automatically adapt to new game packs that add additional counters or stoves without requiring further additions to the package. All counters which are found to contain the counter_MakeFood_Staging_Basic and stoves with the stove_StartCrafting actions are patched with the required object states to enable or disable food prepration and remember your settings.